What Car Do You Not Want To Admit You Want? There are cars we like, and cars we want. Sometimes, the cars we want we're embarrassed to even say we want them. 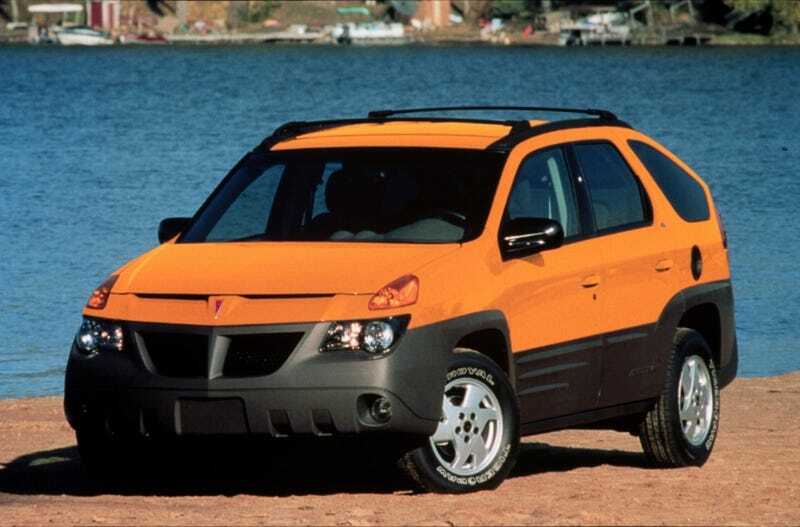 For me, I'd pick up an Aztek. It's basically a rolling survival shelter. You have a tent, a table, the seats fold down flat so you can sleep on it, what more do you want? I'd also get an Acura ZDX, because I find them desirable. They have a certain presence on the road, and they're rare.